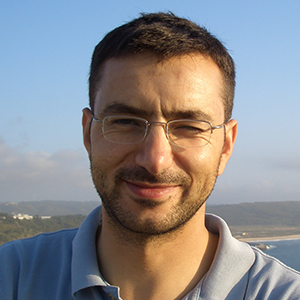 Electrical Engineer – Marco Martins graduated in Electrical and Computer Engineering at Instituto Superior Técnico (IST) in Lisbon. He has worked in the semiconductor industry (ChipIdea, Silicon Labs) as a Test Engineer / Application Engineer for 12 years and currently belongs to INL’s staff of engineers performing Application Engineer functions since 2012. He works actively in the design and development of electronic and software systems from concept to production with special emphasis on the design of very low noise analog systems for signal conditioning in the hardware area, software development for signal processing as well as the integration of embedded systems. • Joao Gaspar, Helder Fonseca, Elvira Paz, Marco Martins, João Valadeiro, Susana Cardoso, Ricardo Ferreira, and Paulo P. Freitas, “Flexible Magnetoresistive sensors designed for conformal integration“ IEEE Trans. Magnetics, DOI 10.1109/TMAG.2016.2623669, 2016. • M. Costa, J. Gaspar, R. Ferreira, E. Paz, H. Fonseca, M. Martins, S. Cardoso, and P. P. Freitas, “Integration of magnetoresistive sensors with atomic force microscopy cantilevers for scanning magnetoresistance microscopy applications,” IEEE Trans. Magnetics, DOI 10.1109/TMAG.2015.2448612, 2015. • Joao Gaspar, Helder Fonseca, Elvira Paz, Margaret Costa, Marco Martins, Ricardo Ferreira, Susana Cardoso and Paulo P. Freitas, “Fabrication and Mechanical Characterization of Flexible Devices with Sensors with Magnetoresistance Responses above 150%”, IEEE Trans. Magnetics.